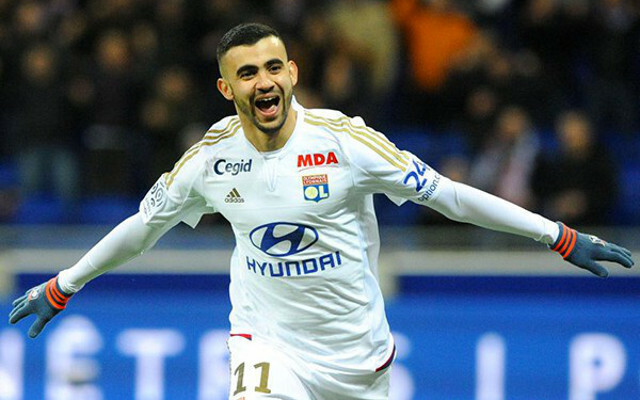 Lyon winger Rachid Ghezzal has been a target of ours for a while, with an approach apparently made in January. We could be set to go back in for him this summer too, with the club’s chairman Jean-Michel Aulas confirming he was likely to be sold, according to L’Equipe (via the Express). The 24-year-old has been a reliable performer for quite some time, scoring and assisting with regularity in Ligue 1. He was one of the players who stepped up during Nabil Fekir’s lengthy layoff through injury, and is part of a superb Lyon attack. With just a year left on his current contract the report suggests talks were ongoing over a renewal, but the Algerian international has apparently stalled long enough to convince Aulus that his future may lie elsewhere. “I asked to see it. He did not sign the extension. With the player extending his holiday and refusing to sign a new deal, it seems clear that he’s looking towards the exit. We could offer him a route out of France, but we’re apparently facing competition. A winger is high on our priority list this summer, but it remains to be seen whether Ghezzal is the player Jurgen Klopp is after.